Wheat berries are not berries, but are wheat seeds. Wheat berries are part of a healthy diet and you can use them in a variety of ways. Since wheat berries are unprocessed, they retain nutrients and fiber that refined wheat products do not have. Any time you can replace a refined wheat product with wheat berries, do so -- you’ll be taking a step toward a healthier diet. A 1/4-cup serving of wheat berries contains 139 calories. Wheat berries expand when you cook them and are quite filling; making them a good choice if you are watching the number of calories you consume. Each 1/4-cup of wheat berries also contains over 5 grams of hunger-busting fiber -- a healthy way to fill up your stomach. 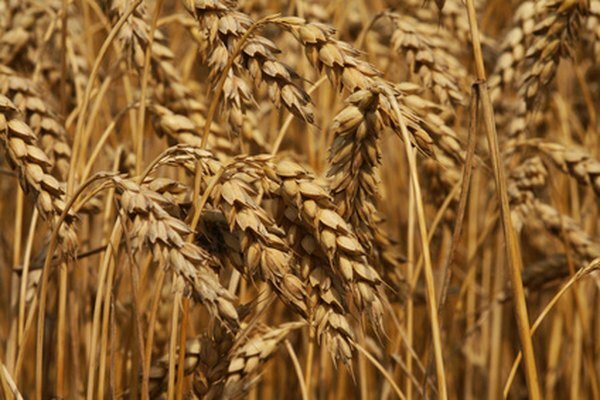 Most of the calories in wheat berries are from carbohydrates. In some circles, carbohydrates have developed a bad rap, but you’ll find that the carbohydrates in wheat berries are the very best kind, as they are completely unrefined. While refined carbohydrates can cause problems with blood sugar, unrefined carbohydrates, such as those found in wheat berries, can help to prevent blood sugar problems because of the fiber they contain. A 1/4-cup serving of wheat berries provides 4.5 grams protein while providing less than 1 gram of fat. While not a high-protein food, wheat berries combine well with other sources of protein, such as beans, for a protein-rich meal. The little bit of fat that wheat berries contain is in the germ of the seed. This fat, while insignificant from a dietary standpoint, can cause wheat to go rancid if stored for a long time. Wheat berries are a good source of magnesium, with 53 milligrams per 1/4-cup serving. According to the University of Maryland Medical Center, a diet rich in magnesium can help to lower blood pressure and may prevent the development of type 2 diabetes. They also serve up 164 milligrams of potassium, an array of B vitamins and vitamin E. Most of the vitamins and minerals in wheat berries are derived from the bran, which is completely intact in this unprocessed grain. You can use wheat berries as a nutritious hot breakfast cereal. After cooking the berries, top with non-fat milk and berries. You can also add wheat berries to salads, prepare them with sauteed vegetables as a side dish or use them in a holiday stuffing. For a quick Mediterranean-flavored side salad, toss cooked, chilled wheat berries with a bit of olive oil, lemon juice and cucumber.